Roy Depue Holcombe was born on 16 February 1876 at Sycamore, DeKalb Co., IL. He was the son of Orator S. Holcombe and Ella Martha Hubbard. Roy Depue Holcombe lived in 1925 at 1452 N. Central Park, Chicago, IL. He died on 6 September 1945 at Chicago, Cook Co., IL, at age 69. Funeral services were accorded for Roy D. Holcomb of Chicago on Thursday afternoon at two o'clock at the Johnson-Van natta Funeral Home. The Rev. F. H. Weichlein of St. Peter's Episcopal Church was the officiating clergyman. Interment took place in the family lot in Elmwood cemetery. Mr. Holcomb passed away at his home in the city on Tuesday morning at eight o'clock, after several months of critical illness. After the first of the year, he suffered a severe attack of influenza, which left his lungs in a weakened condition. Other complications followed, and he was hospitalized for two months in a vain effort to relieve his suffering. He had been home from the hospital about ten days at the time of this death. Mr. Holcomb was possessed of an exceedingly pleasant personality, and his likable qualities won friends for him in every walk of life. Genial and kindly-disposed, though slightly reserved in his manner, the imprint of his cordial greeting and understanding heart will always be cherished in tender memory by those privileged to know him best. A genuine friend has gone, and each one feels a personal loss in his demise, especially those in Sycamore who remember him so kindly from the days of his youth. Roy D. Holcomb, son and only child of Orator S. and Ella Hubbard Holcomb, was born in Sycamore on February 16, 1876. He received his education in the Sycamore public schools, retaining his residence in this city until he attained young manhood. Arriving at years of maturity, he accepted a position with the Deering Harvester Company in Chicago, where he continued in this same employ for a number of years. Mr. Holcomb later traveled into the southwest, where he settled for a time in Oklahoma City. He served as Deputy in the sheriff's office of that city. It was while located in Oklahoma, that he met and was united in marriage on August 7, 1909 to Miss Blanche Diemer of Oklahoma City. Since their marriage, Mr. and Mrs. Holcomb have resided in Chicago, where for 11 years Mr. Holcomb has been Deputy marshal of the United States court of Cook County. He has become especially proficient in this type of work and was recognized as a master officer, thoroughly familiar with the laws of the court, and capably represented their execution. Perhaps he inherited a predilection from his ancestral lineage for an occupation of this nature, as his father O.S. Holcomb, had served as sheriff of DeKalb County, as also did his uncles, Morris Holcomb and Reuben J. Holcomb, all of whom have been deceased for many years. Mrs. Holcomb survives to mourn the loss of the decedent, as do a host of relatives and friends, both in Sycamore and Chicago. Mrs. Gertrude Holcomb, Mrs. A.H. Resch and Arthur H. Holcomb, and their families are cousins of Mr. Holcomb. Those from out of town who were in attendance at the final rites or came to express their last tribute to Mr. Holcomb included: Mrs. Jane Starkey, a niece, Mrs. Helen Strader, Miss Lola Stick, George Whittingham, Wade Messick, Mr. and Mrs. Fred Colgate, Mr. and Mrs. J.W. Albright, Mr. and Mrs. Harry Jones, all from Chicago, and Diemer Davis, a nephew from Mankato, Minn.
Charles Holcombe was born at Canada. He was the son of Seth Holcombe and Lucy Ann Winslow. Charles Holcombe died in February 1867 at Grand Rapids, MI. 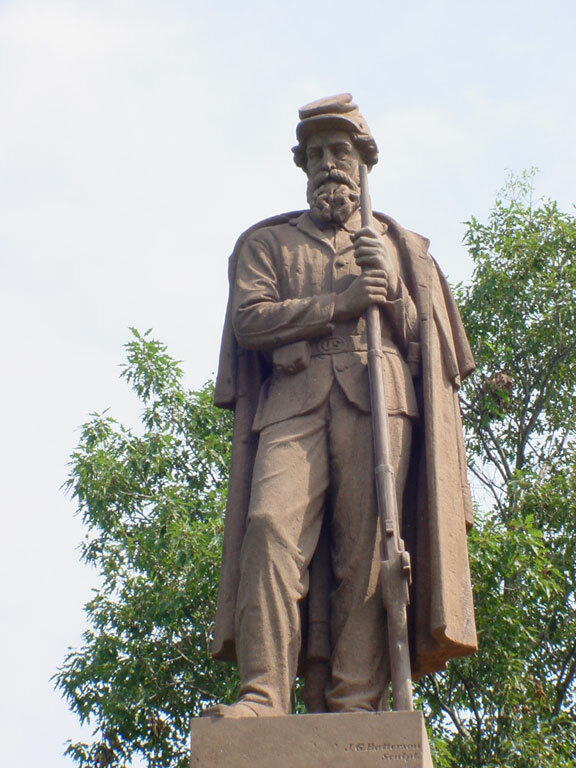 Walter Holcombe was born on 12 May 1797 at Granby, Hartford Co., CT. He was the son of Samuel Holcombe and Sarah Johnson. Walter Holcombe married Fluvia Rockwell on 28 September 1818. Walter Holcombe died on 8 May 1868 at Hartford, Hartford Co., CT, at age 70. He was buried at Tarriffville Cemetery, Tarriffville, CT.
[S23] Jesse Seaver, The Holcomb(e) Genealogy, Page 93/Item 248.1. [S25] Hannah McPherson, Holcombe Genealogy, Page 187.1/Item A-8-1-10-1-2-1. Fluvia was of English and French descent and remotely related to President Harding. Fluvia Rockwell was born on 19 March 1800 at East Windsor, Hartford Co., CT. She married Walter Holcombe, son of Samuel Holcombe and Sarah Johnson, on 28 September 1818. Fluvia Rockwell died on 16 January 1873 at age 72. Martin and Phileta were enumerated in the 1860 Granby, Hartford Co., CT, census. He was a shoemaker. No children. [S419] Carol Laun, Beneath These Stones, Page 57. Laura Holcombe was the daughter of Samuel Holcombe and Sarah Johnson. Betsey Holcombe was the daughter of Samuel Holcombe and Sarah Johnson. Jane Holcombe was the daughter of Samuel Holcombe and Sarah Johnson. David Holcombe was the son of Samuel Holcombe and Sarah Johnson. Benjamin Lattin married Esther Simmons. Lucy Keep Holcombe was born on 11 August 1828. She was the daughter of Walter Holcombe and Fluvia Rockwell. Lucy Keep Holcombe married Anson Higley, son of Seth Filer Higley and Naomi Holcombe, on 30 September 1841. Orson and Lucy were enumerated in the 1850 Simsbury, Hartford Co., CT, federal census. He was a laborer, age 42, she was 28. Children in the household were Susan 10, Walter 8, a female 6, Sarah 4, and Marilla 1. Samuel D. Holcombe was born on 6 September 1825 at Elizabethtown, Essex Co., NY.3 He was the son of Walter Holcombe and Fluvia Rockwell. Samuel D. Holcombe married Eliza A. Clark on 12 November 1845. Samuel and Eliza were enumerated in the 1850 Simsbury, Hartford Co., CT, federal census. He was a butcher, age 26, she was 24. Children in the household were Mary 3, Juliet 2, and Emily. In addition there were three other Holcombes in the household, Francis (m) 6, Fluvia 54, and Marilla (sister) 13. [S25] Hannah McPherson, Holcombe Genealogy, Page 187.2/Item A-8-1-10-1-2-1-3. [S25] Hannah McPherson, Holcombe Genealogy, Page 187.2, Item A-8-1-10-1-2-1-3-4. Eliza A. Clark married Samuel D. Holcombe, son of Walter Holcombe and Fluvia Rockwell, on 12 November 1845. Mary J. Holcombe was born on 7 October 1846 at Simsbury, Hartford Co., CT. She was the daughter of Samuel D. Holcombe and Eliza A. Clark. Mary J. Holcombe died on 1 June 1864 at age 17. She was buried at Thompsonville Cemetery, Enfield, Hartford Co., CT.
Julia H. Holcombe was born on 10 February 1848. She was the daughter of Samuel D. Holcombe and Eliza A. Clark. Julia H. Holcombe died on 22 August 1850 at age 2. She was buried at Thompsonville Cemetery, Enfield, Hartford Co., CT.
Emily E. Holcombe was born on 20 November 1849. She was the daughter of Samuel D. Holcombe and Eliza A. Clark. Emily E. Holcombe died on 21 December 1876 at age 27. She was buried at Thompsonville Cemetery, Enfield, Hartford Co., CT.
Samuel H. Holcombe was born on 21 February 1851 at Simsbury, Hartford Co., CT.1 He was the son of Samuel D. Holcombe and Eliza A. Clark. Marilla F. Holcombe was born on 6 December 1852 at Southwick, Hampden Co., MA. She was the daughter of Samuel D. Holcombe and Eliza A. Clark. Joel and Anna M. were enumerated in the 1880 Hartford, Hartford Co., CT, federal census, film T9-0097, page 150A. They were in the household of Roderick Nevers, Anna's father. Children also listed were George N. 16, and Anna L. 14. Joel was listed in the 1888 Greer's History on the Hartford High School Committee; and as a City Juror. Anna was enumerated in the 1900 Hartford, Hartford Co., CT, federal census. She was a widow, age 59. The only children in the household were George 36, and Annie L. 34. Ex-Police Commissioner Joel R. Holcomb died at 12:20 o'clock this morning. He had been in ill-health for some time, and recentlly his sickness had taken a turn that foreshadowed a speedy fatal termination. Joel R. Holcomb was born in Granby in November, 1827, and came to this city in the early fifties, entering the employ of Starr & Burkett as dry goods clerk. He continued with that firm until it became Burkett & Ives, and for many years after, when the Bee Hive was the leading dry goods store of Hartford. He afterwards was a partner in the dry goods house of C. s. Smith & Co. until the firm was absorbed by Grown, Thomson & Co. He then engaged in the brush manufacturing business with E. Knight Sperry, now of New Haven, under the firm name of Holcomb & Sperry, and carried on the business successfully for many years until the concern sold out. He was not engaged in any special business for some years thereafter, but did general collections for many firms in the city. About a year and a half ago he was appointed sidewalk inspector by the board of street commissioners and continued in that position until in April, when his health gave way and he was forced to retire from active employment. Mr. Holcomb's wife, who survives him, was Anna M. Nevers, a sister of George Nevers, clerk of the street board, and he leaves two children, George N., with the Aetna Life Insurance Company, and Annie. [S807] Find A Grave, online http://www.findagrave.com, memorial # 147215559. Anna M. Nevers was born circa 1841 at MA.1 She was the daughter of Roderick Nevers and Melissa (? )1 Anna M. Nevers married Joel Rockwell Holcombe, son of Walter Holcombe and Fluvia Rockwell, on 22 October 1862. George N. Holcomb, former member of the Governor's Foot Guard and for 37 years connected with the Aetna Life Insurance Company, died at the Hartford Hospital Wednesday afternoon. He had been in ill health for some time and retired from business two years ago. Mr. Holcomb was born in Hartford October 1, 1866 (sic), the son of Joel Rockwell Holcomb and Annie Melissa Nevers Holcomb. He attended the South School and the Hartford Public High School. He entered the employ of the Aetna Life Insurance Company 39 years ago as a clerk in the policy department and was later made divisional chief of the actuary department. Most of his life he spent at the old family homestead at 154 Capitol Avenue, moving recently to 412 Farmington Avenue where he lived with his sister and only survivor, Miss Annie M. Holcomb. Mr. Holcomb was a non-commissioned officer in Company K for many years, and a member of St. John's Lodge, No. 4. A.F.&A.M. The funeral will be held Friday at 2:30 p. m. at his home, with Rev Charles L. Taylor of Cambridge, Mass., officiating. Burial will be in Spring Grove Cemetery. [S284] Courant, 30 August 1928. Perhaps the Annie L. whose portrait is in the CT Portrait Index at CT State Library in Hartford. Perhaps the Annie L. who died, unmarried, August 7, 1959, in West Hartford, age 93. Annie Louise Holcombe was born on 1 October 1865 at CT.1 She was the daughter of Joel Rockwell Holcombe and Anna M. Nevers. Annie Louise Holcombe died in 1959. MaryJane Holcombe was born on 5 April 1829. She was the daughter of Walter Holcombe and Fluvia Rockwell. Isaac Harding Holcombe was born on 31 May 1831 at East Granville, MA. He was the son of Walter Holcombe and Fluvia Rockwell. Isaac Harding Holcombe married Marticia Dickinson. Isaac Harding Holcombe was MOVE on 13 May 1873 at Cortland, NY, Syracuse, NY. He died on 30 June 1908 at age 77. Isaac was a leading resident in his community for many years. When he was 13 years old he was run over by a sleigh loaded with wood which crushed his limb below the knee and he was "crippled" for a few years. He learned cigar making. At the age of 22 he moved to Syracuse, NY, to engage in his trade; later moved to Minnesota and engaged in farming, owning five farms at one time. After five years returned to Syracuse and became associated with Sanford & Bond, wholesale picture and looking-glass manufacturers; mvoed to Cortland, NY and opened a small cigar factory which soon became one of the largest in central NY, his "I.H.H. Cigars" becoming famous over the entire state. In 1877 he bought the harding Estate, 53 Groton Ave., Cortland, NY where his daughter still (1925) lives. Was a high Mason. Isaac and Marticia were enumerated in the 1870 Syracuse Onondaga Co., NY federal census, ward 6. He was a Traveling agent age 39, she was 38. The only child in the household was Ada F. 11. They were living in a hotel. Isaac and Marticia were enumerated in the 1880 Cortlandville, Cortland Co., NY federal census (NA film T9-0822 page 76D). He was a cigar maker age 49; she was 49. The only child was Ada F. 21. Marticia was a direct descendant of King Charles of England; her ancestors came to American in the Mayflower; her mother was a descendant of Princess Isabell. 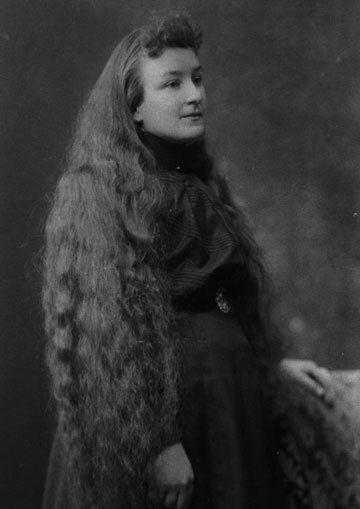 Marticia Dickinson was born on 7 August 1831 at Woodstock, VT. She married Isaac Harding Holcombe, son of Walter Holcombe and Fluvia Rockwell. Marticia Dickinson died on 26 April 1920 at age 88. Henry Walter Holcombe died young. He was born on 20 June 1834. He was the son of Walter Holcombe and Fluvia Rockwell. Marilla Holcombe was born on 23 October 1836. She was the daughter of Walter Holcombe and Fluvia Rockwell. (Twins) Holcombe died young. (Twins) Holcombe was the child of Walter Holcombe and Fluvia Rockwell. Edmund Roland Holcombe was born on 24 October 1831 at CT. He was the son of Dr. Roland Holcombe and Maria Holcombe. Edmund Roland Holcombe married Almeda Phebe Hall, daughter of Amos Hall and Phebe Parsons, on 3 May 1859. Edmund Roland Holcombe died on 19 December 1896 at age 65. Edmund and Almeda were enumerated in the 1860 Granby, Hartford Co., CT, census with no one else in the household. Edmund R. and Almeda P. were enumerated in the 1870 Granby, Hartford Co., CT, census with Samuel and Lillian. Wilbur Holcombe, a farm laborer was also in the household. Edmund R. and Almeda P. were enumerated in the 1880 Granby, Hartford Co., CT, census with Samuel and Lillian. [S161] Carol A. Laun, Granby Center Cemetery, Page 107. Oliver Martin Holcombe was born in 1834. He was the son of Dr. Roland Holcombe and Maria Holcombe. Oliver Martin Holcombe married Eva Rowley circa 1883. Oliver Martin Holcombe died on 18 April 1915 at East Granby, Hartford Co., CT.
Oliver and Betsey were enumerated in the 1870 East Granby, Hartford Co., CT federal census. He was a farmer age 36, she was 46. Children in the household were Cora B. 6, and Archie 2. The1900 Census of East Granby, Ct, page 4B, line 61, shows Oliver M. Holcomb with wife Eva, married 17 years, with son Archie, age 32. Oliver Holcomb died Sunday evening at his home in East Granby, aged 18 years. He leaves his second wife, who was Miss Eva Rowley; a son, Archie Holcomb of Windsor; a daughter, Mrs. James Marks of Kensington; four granddaughters and a grandson. The funeral will be held at hs home today at 1 p.m. Burial will be in the new cemetery. Milo and Maria were enumerated in the 1860 Granby, Hartford Co., CT, census with Henry and a 8-year-old Eliza Warner. Milo is listed on the Granby Civil War Memorial. Lyman Asahel Holcombe was the son of Dr. Roland Holcombe and Maria Holcombe. Almeda Phebe Hall was born on 5 September 1840 at Blandford, MA. She was the daughter of Amos Hall and Phebe Parsons. Almeda Phebe Hall married Edmund Roland Holcombe, son of Dr. Roland Holcombe and Maria Holcombe, on 3 May 1859. Almeda Phebe Hall died on 23 November 1918 at Plainville, CT, at age 78. Information is from Donna Holcomb Larose (carmi @ together.net) via e-mail on September 27, 1998. Almeda is recorded in the 1900 Granby census, page 7A, line 40, widowed. [S161] Carol A. Laun, Granby Center Cemetery, Page 13. James and Cora Bell were enumerated in the 1900 Ellington, Tolland Co., CT, federal census. He was a farmer age 41, she was 35. Children in the household were Robert L. 17, Evelyn Bell 15, Helena 14, Grace 11, Raymon 5, and Betsy 4. Mrs. C. Belle Marks, wife of James M. Marks of East Granby, died Saturday afternoon at Mrs. Freeman’s Private Hospital here after a long illness. She was born in East Granby, the daughter of the late Oliver M. and Betsy (Clark) Holcomb and was married to Mr. Marks June 17, 1882. She leaves her husband, two sons, Robert J. of Cheshire and Raymond J. of Cheshire; three daughters, Mrs. Clifford Case of Torrington, Mrs. Marvin Kelly of Bloomfield, and Mrs. Henry Russenberger of Meriden, one brother, Archie C. Holcomb of East Granby; 15 grandchildren and one great grandchild. The funeral will be a the East Granby Congregational Church Monday at 3 p.m. Burial will be in Elmwood Cemetery, East Granby. Archie was enumerated in the1930 East Granby, Hartford Co., CT, federal census, district 112, single, retired, age 62. In the 1940 census he was enumerated in a private hospital, age 72, in Hartford. Lydia Ladd was born on 31 October 1787. She was the daughter of Ephraim Ladd and Lois Chapman. Lydia Ladd married Truman H. Holcombe, son of Capt. Eli Holcombe and Hannah Crofut, on 1 January 1811 at Albany Twp., Bradford Co., PA; Information online from Pioneer and Patriot Families of Bradford County, 1770-1800, Volume 1, by Clement F. Heverly. Lydia Ladd died on 7 October 1865 at age 77.